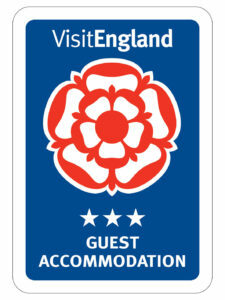 Tariff Prices from £37.50 pppn and Booking Form. 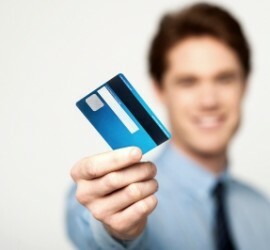 Free WiFi and Freeview - Read what's included. Our Famous Breakfast and All-Day Bar Meals. Tasty! With a choice of 15 rooms of varying sizes and accomodation, The Richmond Hotel offers B&B accommodation at reasonable prices. We currently have an offer of a 25% discount for Sunday-Thursday bookings (Please call for details, limited availability) on 01934 644722. A comfortable, family run Hotel, licensed bar and restaurant, a perfect sea front location with sea view rooms. 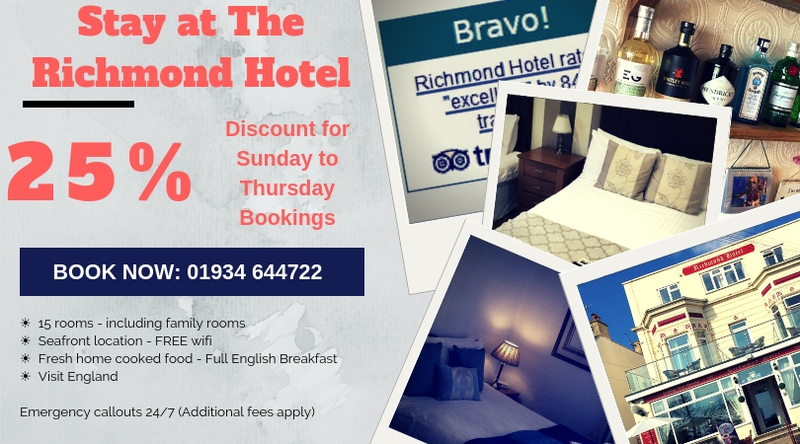 The Richmond Hotel in Weston Super Mare offers great hospitality and good food, and maintains a relaxed and friendly atmosphere for all our guests – right next to all of Weston Super Mare great holiday attractions. So many of our guests return time after time, whether on business in the Somerset or Bristol areas, or visiting for Weston Super Mare holidays. 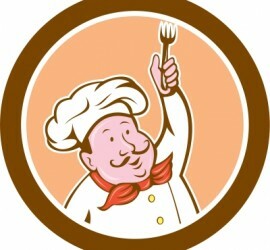 Our experienced kitchen staff provide an exceptional breakfast and are more than happy to cater for all dietry requirements. Our food is served as fresh as possible and bar snacks are available throughout the day where you can enjoy panoramic views from the bay windows, with a great view of the beach and Grand Pier. Situated just a minute level walk from Weston-super-Mare’s new promenade, the hotel overlooks the newly built childrens play area and Crazy Hills crazy golf course. 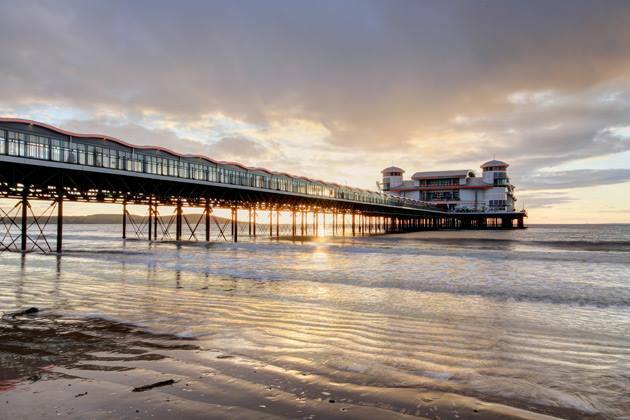 Guests can enjoy Weston-super-Mare from our sea view rooms, also our lounge with licensed bar and dining room where its always homely friendly service and our famous breakfast is the perfect start to every day. The friendly staff are at your service willing to assist you in anyway possible, to enhance your stay and ensure your holiday is perfect. At any time during your stay you can relax in the comfort of the lounge and tv room with the lovely views of the bay.